The War Production Board (WPB) was established in 1942 in order to “increase, accelerate, and regulate the production and supply of materials, articles and equipment and the provision of emergency plant facilities . . . required for the national defense.” The WPB and similar entities had the ability to determine how various raw materials would be used, set prices, and enter into novel contractual arrangements with defense contractors. Some contracts provided that contractors would operate temporary facilities owned by the government, or be subject to recapture of excess profits. Profit margins were typically low, but in return contractors sometimes received favorable contract terms to insulate them from unexpected costs. As was the intent of these legislative and executive acts, American industry roared to life, flooding the operational theaters with ships, planes, tanks, ordnance and fuel, and propelled the Allies to victory. But this overwhelming effort had ill-effects as well. Due in part to both the extraordinary pace of production, and the less stringent environmental regulations of the time, large amounts of toxic chemicals were released at hundreds of sites around the country. Three-and-a-half decades later, in the face of mounting public concern about environmental pollution, Congress enacted the Comprehensive Environmental Response, Compensation, and Liability Act (CERCLA). CERCLA authorizes the Environmental Protection Agency, if it determines a site poses “an imminent and substantial endangerment to the public health,” to sue certain responsible parties for the costs of cleanup. Many of the sites identified by the EPA under CERCLA (commonly called “Superfund” sites) are the product of the extraordinary war-time effort, and the extraordinary defense contracts that enabled it. This set the stage for decades of litigation to allocate financial responsibility for the cleanup between the contractors (and often their corporate successors) and the government. Under these standards, both defense contractors and the government (which specifically waived sovereign immunity related to CERCLA claims) may be liable for some of the cleanup costs. But the extent of liability for each party is determined by comparing the role that each played in causing the pollution. The characterization of which entity was an “operator” is significant because of the way courts equitably apportion CERCLA contributions among the responsible parties. There is no fixed formula – instead, courts look at various sets of factors. One such set is the “Gore” factors, named after an unsuccessful but nonetheless influential attempt to pass an amendment to CERCLA in 1980 by then-Representative Al Gore. Another similar set of factors are known as the Torres factors. A common theme is that liability will be more heavily apportioned to a party with more “knowledge and/or acquiescence […] in the contaminating activities.” The tests established for the “operator” label tend to track closely with this language, and therefore being designated as an “operator” often leads to a large share of liability. The analysis of which entity was “operating” a facility, or portion thereof, has evolved over time as discussed in the next section. In 1994, the Third Circuit decided FMC Corp. v. United States. The case established a framework by which the US government could be held liable as an “operator” for acts it took in a regulatory capacity. Commentators at the time were concerned that, because the government is the ultimate “deep pocket,” this could lead to a massive amount of CERCLA liability looping back onto the government. While not explicitly overruled, FMC Corp. has been limited by subsequent cases. But the decision is still relevant as its fact pattern, while rare, is not unique in the WWII-era contracting context. FMC Corp. concerned a facility located in Front Royal, VA (then owned by corporate predecessor American Viscose) that produced high tenacity rayon (“HTR”) for plane and vehicle tires. Ordinarily the tires would have used rubber, but 90% of the United States’ rubber supply came from the Pacific, which was cut off after Pearl Harbor. The facility was in fact converted from producing textile rayon to HTR largely at the behest of the government. In 1982, inspections revealed elevated levels of carbon disulfide in the ground water around the plant. Carbon disulfide is a volatile organic compound capable of causing neurological damage with chronic exposure. After the EPA notified FMC of its potential liability under CERLA, FMC filed suit seeking monetary contribution from the government under section 113(f) of CERCLA. FMC argued that the government was “so pervasively” involved in directing the activities at the facility that it should pay some, if not all, of the cleanup costs. The government admitted that it effectively controlled many aspects of the operation at the American Viscose plant, but argued that it did so only in a regulatory capacity, and that it could not be held to be an “operator” for purposes of CERCLA when it was acting only as a regulator. The court ultimately found that the government was an “operator” of the plant. To the extent that this result was not what Congress may have intended when it adopted CERCLA, the court noted that amending the statute was within the power of Congress, not the Courts. Four years later, the Supreme Court decided United States vs. Bestfoods. Bestfoods dealt with the question of under what circumstances a corporate parent could be held liable as an operator under CERCLA for the actions of a subsidiary corporation. Because FMC Corp. and other earlier defense contract related decisions had examined governmental vicarious liability under CERCLA as being the same as the inquiry for a “non-governmental entity”, Bestfoods would have a direct impact on government CERCLA liability. Bestfoods found that a subsidiary “so pervasively controlled” by a parent such that it would warrant veil piercing in the corporate law context could be held derivatively liable for the acts of the subsidiary. This is a high standard – even a parent and a subsidiary that share officers and directors will not necessarily meet it. But even if the conduct of a parent would not warrant veil piercing, the court found that “CERCLA prevents individuals from hiding behind the corporate shield when, as ‘operators,’ they themselves actually participate in the wrongful conduct”. Thus, “[u]nder CERCLA, an operator is simply someone who directs the workings of, manages, or conducts the affairs of a facility… specifically related to pollution, that is, operations having to do with the leakage or disposal of hazardous waste, or decisions about compliance with environmental regulations.” This standard has been interpreted to require involvement in environmental decisions on a frequent, often “day-to-day” basis. It is unclear how FMC Corp. would have been decided under this standard. While it appears that the government did exercise some day-to-day control, it is not clear that this control had the required nexus to the actual pollution. What is clear is that this standard is intensely factual in nature. For all the record developed in FMC Corp., more might have been needed to determine if the government’s day-to-day input over personnel and other issues had the required nexus to the pollution. Two recent cases demonstrate how much more difficult it is to assign “operator” liability to the government after Bestfoods. Exxon Mobil Corp. v. United States involved two sites in Louisiana where the production of avgas for the war effort led to contamination of the Mississippi River. Exxon argued that many activities at the site were performed out of fear that the refineries would be seized by the WPB if production quotas were not met. The court rejected this argument, finding that the government acted more like a “very interested consumer,” and did not direct day-to-day activities. The court also found persuasive that fact that some of Exxon’s contracts contained clauses stating that certain specifications and quantities would be “determined by negotiation,” as opposed to simply dictated by the government. Exxon further argued that government personnel were at the site every day, performing inspections. The court cited in response other post-Bestfoods cases where daily inspections related to contract compliance and worker safety were insufficient. Ultimately, the government was not determined to be an “operator” of the avgas refineries under CERCLA. A second case, TDY Holdings, reached a similar result. TDY was the corporate successor of several corporations which had operated a facility near San Diego international airport that performed aeronautical fabrication and testing as a contractor to the government between 1939 and 1999. Even though it was undisputed that the government “owned some of the equipment related to the contamination, and observed and knew of TDY’s production processes and maintenance practices that released contaminates into the environment” the government was found to be merely a “past owner” and not an “operator.” TDY argued that adherence to military specifications (mil specs) led inevitably to pollution, but the court found that the mil specs did not dictate how by-product chemicals should be managed, contained, or disposed of. The court also explicitly distinguished FMC Corp. on the grounds that TDY actively sought out defense work, and was never “ordered, coerced, or forced” to operate as a defense plant. TDY was assigned 100% of the cleanup costs as the “operator,” even though the government had been found to be a “past owner” of some facilities. With the window to assign the government “operator” liability in all but extreme cases closed, litigants have explored other ways to shift cleanup costs to the government. One method that has succeeded has been to rely on special indemnification clauses that were included in some WWII-era contracts. Unlike the in-depth factual analysis required to establish “operator” liability, this analysis involves primarily questions of law. Specifically, application of these clauses depends on whether or not the clauses extend to CERCLA liability (which was unforeseen at the time of their execution). If the clauses do cover CERCLA liability, it then must be examined whether or not the Anti-Deficiency Act prohibits payment of indemnification under the clauses and, if so, whether the ADA was effectively waived by the Contract Settlement Act of 1944. The court had no difficulty determining that this clause extended to CERCLA liability based on its broad, non-limited language. The court then turned to the question of whether the Anti-Deficiency Act (ADA) barred payment under the indemnification clause. The trial court had determined that the ADA, which bars payments in excess of the amounts appropriated by Congress for a particular contract, did bar payment of CERCLA indemnification. The Federal Circuit did not question this general conclusion, but instead focused on whether payment was otherwise “authorized by law” as an exception to the ADA. The Federal Circuit agreed with E.I. du Pont that this language “grant[ed] the President the authority to delegate to departments and agencies contracting power virtually unfettered by contract law, including the ADA”. The case was remanded for entry of judgment in E.I. du Pont’s favor – the government would be liable for any CERCLA costs that might be imposed on E.I. du Pont. Subsequent cases have confirmed that if the CSA is applicable to the contract at issue, then the ADA restriction is not effective. The only issue that remains is whether the particular indemnification clause is “(1) specific enough to include CERCLA liability or (2) general enough to include any and all environmental liability which would, naturally, include subsequent CERCLA claims.” Shell Oil Co. v. United States concerned a contract where the relevant agency had agreed to pay “”any now existing taxes, fees, or charges . . . imposed upon [the Oil Companies] by reason of the production, manufacture, storage, sale or delivery of [avgas].” The Federal Circuit held that future CERCLA liability was a “charge” within the meaning of the contract, and the government was therefore liable to reimburse Shell for it. The courts’ findings that certain WWII-era contractor indemnification clauses cover CERCLA liability makes this an attractive litigation tactic now that that it is more difficult to assign the government “operator” liability. Of course, not all contracts contained a version of either of the provisions discussed above. Those that did are more likely to be contracts of the type at issue in E.I. du Pont and FMC Corp., where the government and the contractor were undertaking a mode of operation that would not normally be undertaken outside of wartime. These extraordinary contracts are more likely to involve fact scenarios on which the government might also still be determined to be an “operator,” even under the narrow Bestfoods test. But even where the government might be deemed an “operator,” the indemnification clause strategy has the advantage of providing a complete bar to contractor liability as opposed to requiring apportionment, and also does not require intense factual investigation. * J.D. Candidate, Georgetown University Law Center, 2017; Executive Editor, Georgetown Environmental Law Review. Correlli Barnett, The Lords of War: Supreme Leadership from Lincoln to Churchill 163 (2012). FMC Corp. v. United States Dep’t of Commerce, 786 F. Supp. 471, 474 (E.D. Pa. 1992). E.I. du Pont de Nemours & Co. v. United States, 365 F.3d 1367, 1369-70 (Fed. Cir. 2004). Sixth Supplemental National Defense Appropriation Act, 1942, Pub. L. No. 77-528, ch. 247, § 403, 56 Stat. 226, 245 (1942). See, e.g., Shell Oil Co. v. United States, 751 F.3d 1282, 1287 (Fed. Cir. 2014). E.I. du Pont de Nemours, 365 F.3d at 1357 (Fed. Cir. 2004). 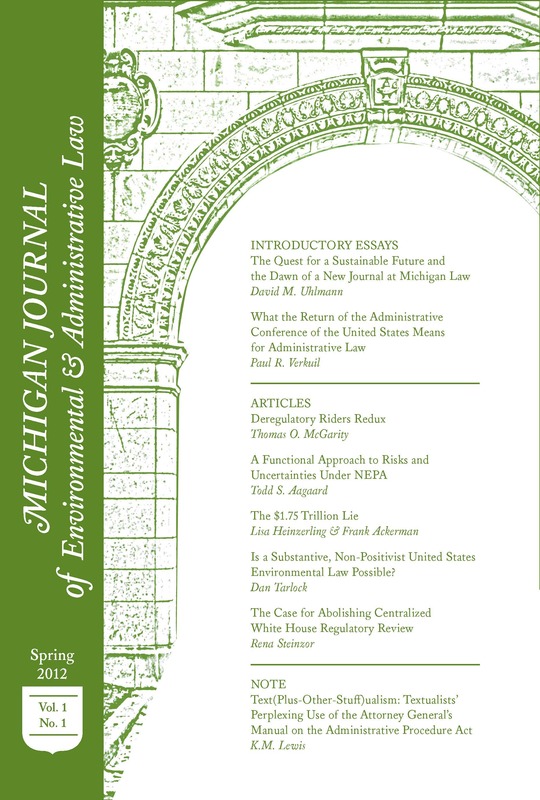 Comprehensive Environmental Response, Compensation, and Liability Act of 1980, Pub. L. No. 96-510, 94 Stat. 2767 (codified as amended at 42 U.S.C. §§ 9601-9675 (1988)). See 42 U.S.C.S. § 9607 (listing the categories of “covered persons”). Tanglewood East Homeowners v. Charles-Thomas, Inc., 849 F.2d 1568, 1572 (5th Cir. 1988); O’Neil v. Picillo, 883 F.2d 176, 178-79 (1st Cir. 1989). B.F. Goodrich Co. v. Murtha, 958 F.2d 1192, 1198 (2d Cir. 1992). See FMC Corp. v. U.S. Dep’t of Commerce, 29 F.3d 833, 842 (3rd Cir. 1994). (iii) the degree of toxicity of the hazardous waste involved; (iv) the degree of involvement by the parties in the generation, transportation, treatment, storage, or disposal of the hazardous waste; (v) the degree of care exercised by the parties with respect to the hazardous waste concerned, taking into account the characteristics of such hazardous waste; and(vi) the degree of cooperation by the parties with Federal, State, or local officials to prevent any harm to the public health or the environment.” United States v. A & F Materials Co., 578 F. Supp. 1249, 1256 (S.D. Ill. 1984). See Exxon Mobil Corp. v. United States, 108 F. Supp. 3d 486, 534 (S.D. Tex. 2015). Weyerhaeuser Co. v. Koppers Co., 771 F.Supp. 1420,1426 (D. Md. 1991). FMC Corp., 29 F.3d at 833. Va. L. Rev. 1191, 1193, 1232 (1993). FMC Corp., 29 F.3d at 836. U.S. Department of Health and Human Services, Agency for Toxic Substances and Disease Registry, Toxicological Profile for Carbon Disulfide (Update) (1996). FMC Corp., 29 F.3d at 835. The government also argued that it had not waived sovereign immunity for purposes of CERCLA liability for purely regulatory actions, but the court disagreed with this contention. Id at 836. United States v. Bestfoods, 524 U.S. 51 (1998). FMC Corp., 29 F.3d at 840. Bestfoods, 542 U.S. at 64 n. 10. Bestfoods, 542 U.S. at 65 (quoting Riverside Market Dev. Corp. v. International Bldg. Prods., Inc., 931 F.2d 327, 330 (5th Cir. 1991)). Bestfoods, 524 U.S. at 65-66. Exxon Mobil Corp., 108 F. Supp. 3d at 529-30 (quoting City of Wichita, Kansas v. Trs. Of APCO Oil Corp. Liquidating Trust, 306 F. Supp. 2d 1040, 1055 (D. Kan. 2003)). Avgas was a revolutionary 100-octane fuel that, when used to replace the 87-octane fuels previously used in combat aircraft, increased their speed without requiring significant modifications to the engine. See Sustainable Technology Forum, Chemists explore WWII ‘miracle’ aviation fuel, available at http://sustainabletechnologyforum.com/chemists-explore-wwii-miracle-aviation-fuel_9396.html (last visited June 26th 2016). Exxon, 108 F. Supp. 3d at 491. The government was determined to be an operator of several discrete facilities related to the litigation, including an ordinance shop. This finding was based on correspondence showing that the government “made specific decisions about waste disposal and environmental compliance,” was aware of the pollution, and decided to continue polluting. The ordinance works was described as “resembl[ing] a United States Army base more than a chemical plant” in terms of who actively managed it and its operational procedures. Id at 530-32. TDY Holdings, 122 F. Supp. 3d at 1003. Reach: The Federal Government’s Indemnification of World War II Contractors for Toxic Waste Cleanup Resulting from Wartime Manufacturing Efforts in Shell Oil Co. et al. v. United States, 26 Vill. Envtl. L.J. 363 (2015). E.I. du Pont de Nemours, 365 F.3d at 1369-70. Id at 1375 (emphasis as added in decision). Id at 1376 (quoting Johns-Manville Corp. v. United States, 12 Cl. Ct. 1, 33-34 (1987)). See, e.g., Shell Oil Co., 751 F.3d at 1301. E.I. du Pont de Nemours, 365 F.3d at 1373 (quoting Elf Atochem N. Am. v. United States, 866 F. Supp. 68, 870 (E.D. Pa. 1994)). Shell Oil Co., 751 F.3d at 1287. Id at 1284. Reyna, J. dissented, primarily on the ground that the provision in question was located in a section of the contract related to taxes and, interpreted in that context, CERCLA liability was not a “charge.” Id at 1303-05.